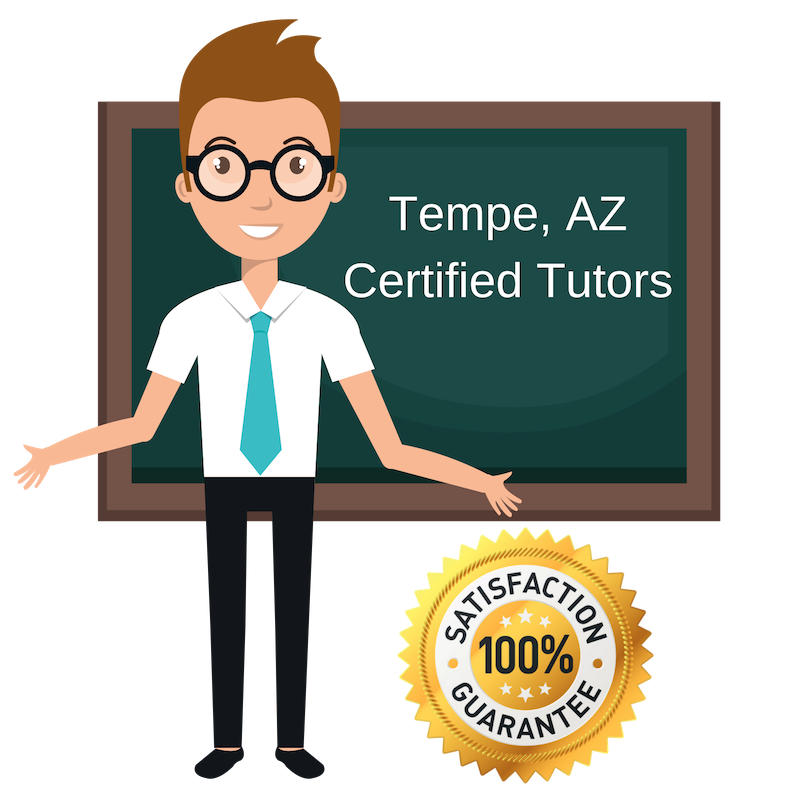 Top Rated Private Tutors in Tempe, AZ! By partnering with Varsity Tutors, the leading tutoring agency in the country, we have access to the best tutors in Tempe, AZ. I am a junior studying mechanical engineering at the University of Arizona. I use math and science all day, every day, which I love! Mathematics and science are my strongest subjects and my favorite ones, too! I can help students with any level of math up through Calculus 1. And with science, I can provide tutoring for physics, high school biology classes, and basic chemistry. Additionally, I am available to provide ACT preparation tutoring in the Tempe, AZ area, where I have experience. A key for me while tutoring is making sure that I understand each student’s unique approach and thought-process in order to tailor individual explanations and examples for more effective learning. I am generally available after 5:30 pm on Monday through Thursday. I prefer to tutor on weekdays, but if necessary, weekends are fine as well. I look forward to helping anyone in the Tempe area to achieve success in any subject. Please feel free to contact me if you have any questions! Hi. I’m Sylvia. I have a Master’s Degree in Religion from Fuller Theological Seminary in California, where I am currently a nursing undergrad. I believe everyone has abilities to learn any subject, from algebra, to science, to philosophy. My ambition in life is to assist those who want to learn by listening to their heart for an understanding of where they want to go. I’m available for tutoring in and around the Tempe, AZ area. Hello, I’m Angie! I am a senior at Arizona State University in the Barrett Honors College, where I’m studying Psychology and Studio Art. In high school, I was an Advanced Placement (AP) Honors student and excelled on the local AIMS exam in the Tempe area and the national SATs. So, courses like precalculus and statistics do not scare me. I take great joy in offering my students a rewarding tutoring experience that provides effective and efficient learning as well as enjoyment. I push for a fulfilling process. This is very helpful when studying for the SAT and ACT exams. In addition to tutoring, I enjoy dancing, gymnastics, drawing, painting, and 3D digital animation. I am also one of the captains for ASU’s color guard. Another passion of mine is doing creative activities to remind myself that life is supposed to be fun! Hello, I’m Jake. Lately, my life has been quite busy, as I’ve been working on my Masters in Secondary Education at Grand Canyon University while simultaneously pursuing a career in teaching middle and early high school math. But that’s ok, I still have the time and enthusiasm to offer tutoring sessions, and prep for ACT to those in and around Tempe, AZ. I can teach all types of mathematics, from precalculus, to geometry, to trigonometry. I believe that math is not just a bunch of numbers and equations but a way to see and interpret the working world. Besides math, I am also qualified to teach English as a Second Language. I have tutored all over the world, including in China, Thailand, Vietnam, and the US. Hello! My name is Timothy. I’m a passionate Spanish, English, and History teacher here in the Phoenix-Tempe area. I obtained a BA in Spanish and Political Science at the University of Illinois at Urbana-Champaign and a Masters in Spanish, ESL Teaching and Bilingual and Bicultural Studies at DePaul University. I am also currently completing my PhD in Spanish Linguistics. Prior to my arrival in Arizona, I lived in Europe for three years. I have five years of middle and high school teaching experience. Altogether, I have taught in all levels for over 10 years. I am fortunate to have many excellent tutoring and teaching references. In plain English, colleagues say that I’m patient, flexible, knowledgeable, kind, and willing to go the extra mile in helping students understand the information at hand. These attributes play a great part in applying student test prep techniques. I’m available for tutoring here in the Tempe area. Student-Tutor's partnership with Varsity Tutors makes it easy to find local world class certified tutors no matter where you live. Here are some other tutors in Tempe. Let's Spark Bright Futures!